In one of my saturday walks around Old Habana, I found myself near “El callejón del chorro” in front of lovely tiny paintings with a different taste, I got enchanted by it’s primitive detailed delicacy. Small little jewels not letting anything escape in it’s effort to reflect the city. A city, the same city, always Havana (these limits within our world unrolls). They “sold me” a reconstructed space, a patrimony, the seek world; others with a happy and celebratory crowd at a carnival (“If you hum it, I can play it”), patient people waiting for the unending future to come (“Hope is the last thing to loose”), cautious with their merchandise awaiting for the right moment (“Together but not mixed”), or unaware of their individuality as a pedestrian mass around the city, that city with its everyday archetypes, fully conscious of themselves and the rest, knowing their role and how to play it. “What a small world!” or “Havanalandia” was the artwork that Milena Martínez decided to do since she position herself in “La plaza de la Catedral” (the Cathedral square), the place that disrupt the cuban artistic elite, dismissively conditioning the action of selling there and the artist who made it, categorizing it by the simple act of using the place, well it is not that the outside people haven’t done the same under the same circumstances, including the bargaining; weapons aside lets look the market as it is. That space created a division between who the institution selected as the “90’s generation” and who the buyers selected (convenient proverb: “Not everybody that belongs got inside, and not everybody that got inside belongs”). The critics following their different myths, but if we are going to talk about cynicism in contemporary art, I consider that the artists (not the artisans of kirsch) that took over the Cathedral square are the best exponents, because they solved by staying there, commercial dilemmas that have been coming and going for so long, the subtlety of the message, a new esthetic conscious to please, if we can call that the distinctive element of that time. You can find all of the sudden an artist with a seductive Montmartre flavor or an impressive painter hidden behind an overwhelming artwork (some, the ones that find the meaning, revived the altruistic and mythical ghosts of the discovery, vivifications of old “Van Gogh-sians” anxieties), in brief, an space for the creation of an spontaneous generation that let go an art production that distinguish itself as an interesting hybrid. Within the passing of urban people looking for a memory, the only thing steady were all those cubans escorting their displayed pieces, although being part of a restless reality, some of them with an academic training, as Milena. This artist relates with Mendive from the moment that she choose the naive style as a conscious, mature and precise expression to achieve her artistic goals. If Silvestre is the intimate “primitive” artist and Alberto Casado is the one with the inside comments about the artistic world, Milena raised herself within this particular art style as the social chronicler of the everyday. Milena’s artwork proposal is paradoxic, as it plays with arguments that surprises us but, at the same time we fully understand, as the relation between the topics and the dimensions with noticeable ironic elements, connote by it’s intentions. She was one of the first ones to give meaning and lucidity to that place and to the act being there. Two series belong to this production, the first: “Havanalandia” or “What a small world!”, announcing it’s mistrusted sarcasm, displaying an ample vision, panoramic to a more vague, impersonal and architectural main landscape, but at the same time the insolence of showing itself quite intimate in it’s size: a whispering. It is in the second series that the comment became evident and vast, Milena expose the “non grates” elements of common life, the individualization based on distinctive and archetypical aspects of the cubans, improper without the impertinence of the crude. She does not attack us with her obstinate waiting people, or a smiling, imperfect and toothless old guy trying to fix again and again the very cuban: “guayabera”. Milena always makes us feel puzzled and shocked with the world that she unfolds for us through her paintings. The difference between these vignettes and other Latin american or third world’s art is in the interplay of skills and clarity of objectives, as she accomplishes, one of the few, a strong artwork, suggestive and with a vision of her surroundings. That vision is what distinguishes these paintings from others that had chosen this aesthetic, looking for the ingenuity of the anecdotic comment as if without consequences, as if only saying, not analyzing. We are in front of an artwork that save someone, foreign to that scenery and those characters, from the effort of searching for, by delivering the insider’s view. Our tour starts at a distant city, oppressive and noisy, passing by a place-remark surprised by the exclusivity and the privilege of the visitor, going from the impression to the memory. Milena has focus on those elements around her, knowing that by unique, unusual, fortuitous or archetypical may draw the attention of someone who wants to discover the idiosyncrasy that is revealed throughout what it knows, remembers and what shows up in front of its eyes; in this case the titles work as the key to access the ironic levels and interesting codes that help us get inside Havana. Sometime it seems to me that the close view is what is real and “Havanalandia” is what we want it to be. Milena gets inside us with the proposal artwork-guide of what is already there, the image of what is going to last as traditional costumbrism, where more than the architecture, but the people that live here and their interaction, is destined to stay. 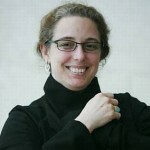 Tania Bruguera: Tania Bruguera is a Cuban installation and performance artist. Bruguera studied at the Instituto Superior de Arte in Havana and then earned an M.F.A. in performance from the School of the Art Institute of Chicago.